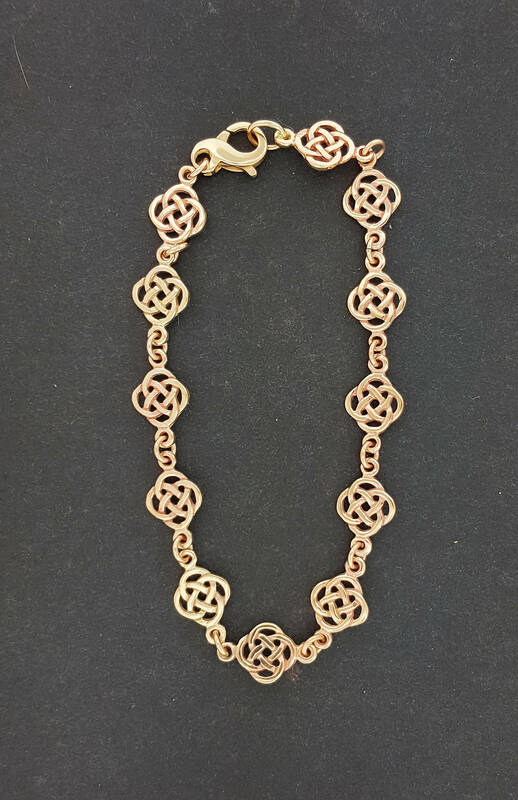 This handmade antique bronze bracelet is an endless knot measuring 0.8cm wide links connected with jump rings and a lobster claw clasp. The links are 2.5mm thick. I make it as long or as short as you need. I make each bracelet as ordered when ordered. But don't hesitate to request a specific size.